Colleges care about the classes you take every year until high school graduation, So should you sign up for AP Calculus and AP Physics the same year? Take it easy early on, and then pile on the challenging work junior year? The general rule is to take five solid academic subjects a year in English, math, social studies, science and foreign language. Our tips will help you choose the right high school classes each year, and remove some of the stress from college planning. It can seem tempting to try to ease into high school life when it comes to academics, but that can be a mistake. The question to ask is, “What is the most rigorous schedule I can take and have success? Work with your college counselor on a smart freshman year schedule now, so college applications aren't as stressful later. It’s time to kick it up a notch. Sophomore year is usually the first time you can take AP classes. But before you sign up for the first course that catches your eye, look at the big picture. What classes do you want to take junior and senior year? Ensure that you are getting the prerequisites now that you’ll need for the next step. Check out more tips on choosing AP subjects. Junior year grades are of particular interest to colleges, both for GPA and rigor. So, this is the time to beef up your schedule with appropriate AP and honors classes. Honors vs APs? Colleges like them both. Not sure you’re up for the challenge? In most cases, taking an AP class and getting a B is a better choice than getting an A in a regular one. Many high schools give weight to AP grades so that a B in AP Biology might be a 3.3 instead of a 3.0 on your transcript. Not only do APs boost your GPA, but they also show colleges that you are preparing for college-level work. Senioritis does not exist anymore. Colleges do consider fall grades, and even after admission your high school classes and grades still matter. Though it is far more common for a school to request a senior year schedule, there are many colleges that will ask for final grades. And, if you have been waitlisted, your spring grades could be an important factor in getting accepted. 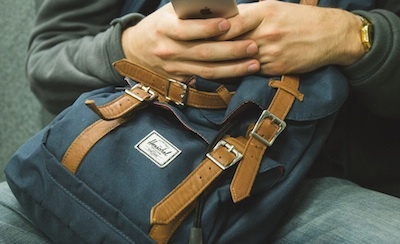 Get our tips for keeping your grades up during college application season. Colleges like them both. Both honors and AP courses are rigorous courses that most high schools weight more heavily on your transcript. AP courses, however, culminate in the AP Exam. Good AP scores show colleges you are ready to succeed at college-level work and can even earn you college credits. 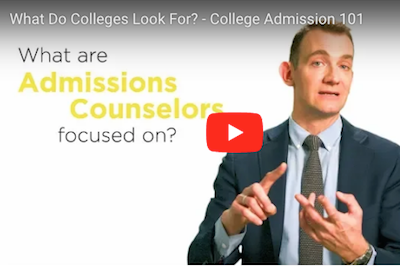 The bottom line is that admission committees want to see that you are challenging yourself academically, which means taking honors, AP, or IB (International Baccalaureate) courses if they are available. Check with your college counselor to see which types of courses and subjects are offered at your school. You don’t want to go through high school feeling perpetually overwhelmed. Signing up for all honors classes can be a disaster if you have other commitments and extracurriculars on your plate. Remember that colleges look for balance. Academics are important, but so is a well-rounded high school resume. Taking electives (like art or graphic design classes) beyond your required courses is a great way to discover new skills and study interests. Concerned you might not be able to handle AP Calculus or Honors Physics? Our Princeton Review tutors can help bridge the gap between classwork and homework. Try an online session whenever you need homework help, 24-7. Ready to prep for your AP Exams? Make sure your hard work pays off by working with our expert AP tutors. Whether you need comprehensive prep or a boost in a few areas, we’re here to help!